A pig’s gut, or more specifically the microorganisms (microbiota) in it, are a major topic of interest. The initial and still important reason for this has been the pig’s use as a model for human gastrointestinal tract (GI) microbiome research on topics such as obesity, diabetes, coronary heart and inflammatory bowel disease. These conditions are caused by multiple factors, both environmental and genetic and initially the microbiome was considered an environmental effect acting on the host. However, recent studies provided evidence that composition of the GI microbiome is a complex, polygenic trait that is heritable (Benson et al. https://doi.org/10.1073/pnas.1007028107 ). This is important since the GI microbiome itself is under genetic control of the host and interacts with environmental and host factors for a number of human diseases (Spor et al. http://dx.doi.org/10.1038/nrmicro2540 ). As a spin-off of the human research, there is interest in the role of the pig’s GI microbiome on pig physiological, nutritional and immunity traits. Estelle et al. (http://wcgalp.org/system/files/proceedings/2014/influence-hosts-genetics-gut-microbiota-composition-pigs-and-its-links-immunity-traits.pdf) demonstrated that the pig’s gut microbiota composition was influenced by the pig’s genetics and that there were links between immunity traits and the pig’s microbiota. Camarinha-Silva et al. (https://doi.org/10.1534/genetics.117.200782 ) showed that GI microbiota were under host genetic control and that GI microbiome composition affected the pig’s growth rate, feed intake and feed conversion ratio. Xiao et al. (https://doi.org/10.5713/ajas.16.0746) demonstrated that some microbiota were similar among Yorkshire, Landrace, Duroc and Hampshire breeds but that others were breed specific. Finally, Lu et al. ( https://doi.org/10.1186/s40168-017-0384-1 ) demonstrated that diversity of microbiota, measured at three different times in the young growing pig’s life is under genetic control and correlated with backfat thickness and average daily gain. Camarinha-Silva et al. noted opportunities for selecting an optimal microbiome and using microbiota levels to assist in predicting an animal’s performance. As one thinks about selection, both the host and microbiome have evolved together, and many generations of host selection for performance traits may have indirectly selected the microbiomes too. We also know that the pig’s microbiome composition changes with age. So far, the focus has been microbiome composition, however we need to understand the effects of different microbiota functions on important pig traits as perhaps different microbiota will work together or compensate for variation in composition under different conditions (G. Plastow, personal communication). 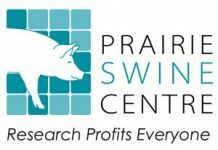 From a genetic perspective, the potential to influence the pig’s microbiome by genetic means could offer new opportunities. Genesus is already participating in a pig disease resilience project in which the microbiome is a component. Additionally, Genesus nutrition research, focused on developing optimal diets will consider microbiome components. 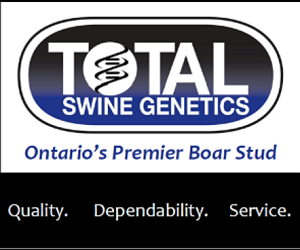 In its drive to assist customers in maximizing profitability the potential contribution of genetic control of a pig’s microbiome will be a consideration in future Genesus genetic improvement programs.